The hot flavor was the only sauce reviewed in this post. The recipe incorporated a primary base of “Texas Pete” (the sauce commonly used in the dining hall). The cooks added some seasonings and possibly butter/margarine. It tasted spicy and wasn’t too overpowering. Unfortunately, not enough other ingredients were added to mitigate the taste of the “Texas Pete”. The texture of these wings was one of the worst I have ever tried. 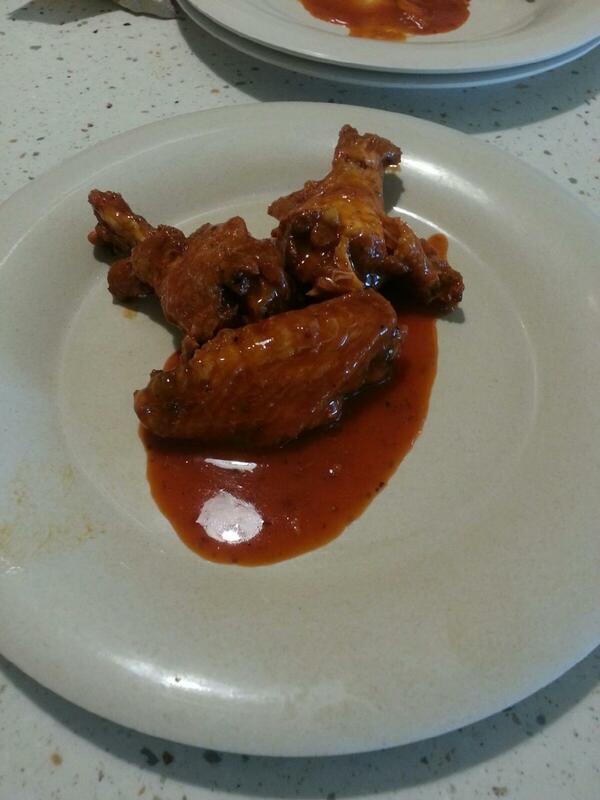 The very first plate of wings should not even be classified as such. It was merely a plate of meat with some bones (see picture). Additionally, many of the bones snapped in half, making it difficult to eat. If I were to stretch for an upside, the wings had the desirable thin layer covering the inner meat. And some even displayed a small bit of juiciness, but nothing too noticeable. Proportionality and price are difficult to determine in this review. As someone who purchased an unlimited dining hall meal plan, a mere meal swipe for unlimited buffalo wings was a no brainer. However, paying $10 for unlimited “dining hall” wings (the price a non-student would pay without a meal plan) seemed to be a bad deal. The cost would simply be too steep for the poor quality. The wings themselves had a slightly less than average amount of meat on them, but this characteristic should be considered irrelevant. By eating in the dining hall, the number of wings that can be eaten is ‘unlimited’. As such, this category is strictly determined on cost, not wing size. Bottom Line: Eat them if you are a college student, avoid otherwise.